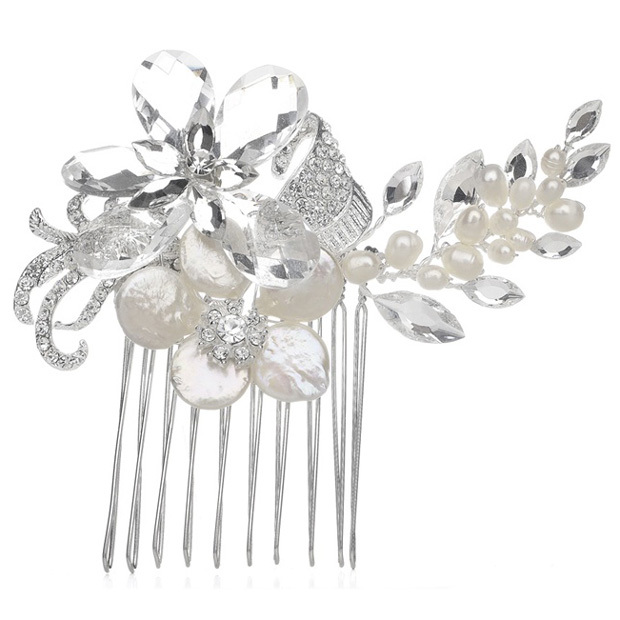 * This breathtaking bridal comb by Mariell is a delicate work of art to adorn your wedding updo in unique style. 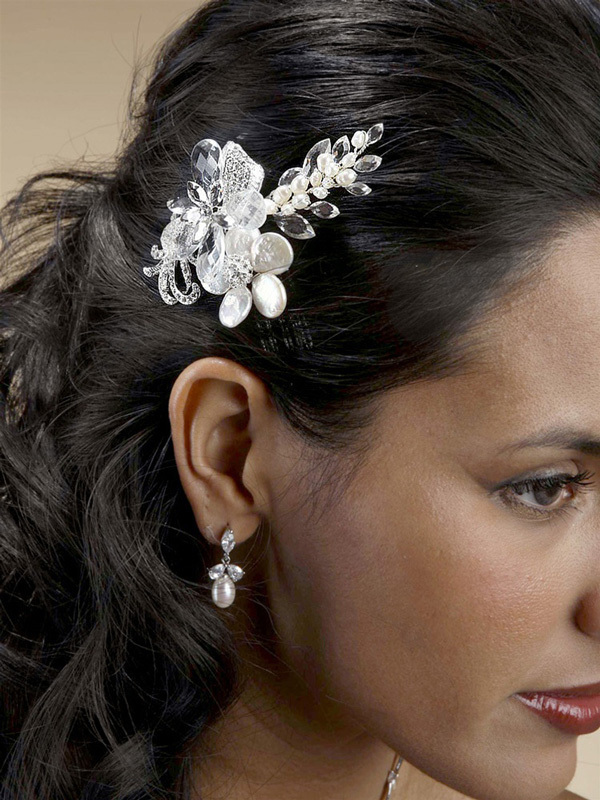 * Our stunning hair accessory overflows with gorgeous Swarovski crystals and Keshi pearls accented with inlaid crystals and rhinestones. * This is an ideal bridal comb for beach or destination weddings. * It measures 3 1/2" w x 3" h and has a pliable silver rhodium comb.